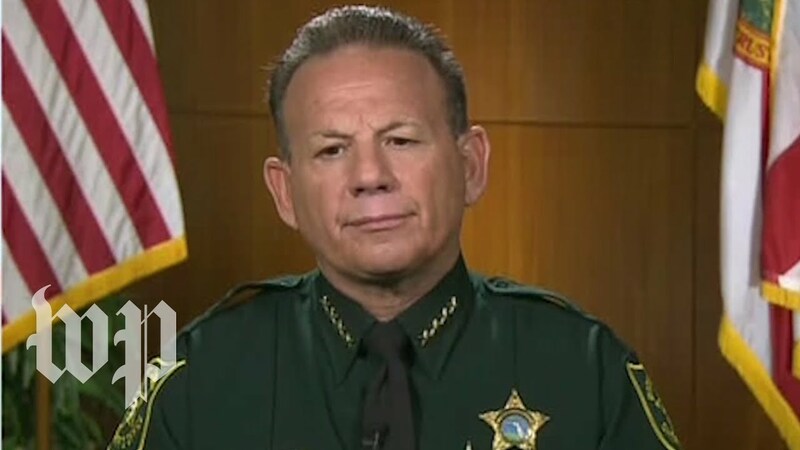 Broward County Sheriff Scott Israel, who touted his own "amazing leadership" after the Parkland school shooting, is facing a no-confidence vote from the union representing his deputies. Jeff Bell, the president of the Broward Sheriff's Office Deputies Association, told CNN Friday that union members had decided to move forward with the vote, which will begin electronically tonight and will close on April 26. I couldn't finish watching it. Just to much BS! He's blaming the NRA for his suspension. He apparently can't comprehend that it was his lack of leadership, poor policies and the departments poor responce that exacerbated the incident. While there is no duty to protect an individual from threat of a crime, there is a requirement that le take action when a crime is taking place. The duty is to the controlling government, not the individual citizen. The main issue I have with Israel is his righteous arrogance and disgusting joy at jumping into a national political debate AFTER his direct failure of office that helped result in the murder of so many innocents. Not disagreeing with what the governor did but how does the recent ruling by the Flordia courts saying that the Broward County schools and the county sheriff’s office had no legal duty to protect students during the shooting at Marjory Stoneman Douglas High School on Feb. 14, play into all of this??? …....hopefully these two will help frame a context of an answer to your question. At face value the FL ruling sounds correct but does not impact issues of malfeasance or mismanagement by officials who fail their duties and are reprimanded or terminated. It is about time this POS was kicked out. Everybody I know is ecstatic. He was universally hated along with his incompetent cronies. POS should be charged with malfeasance of office or FL equivalent. If I was him I would retire, yesterday. But he’s probably an egomaniac. 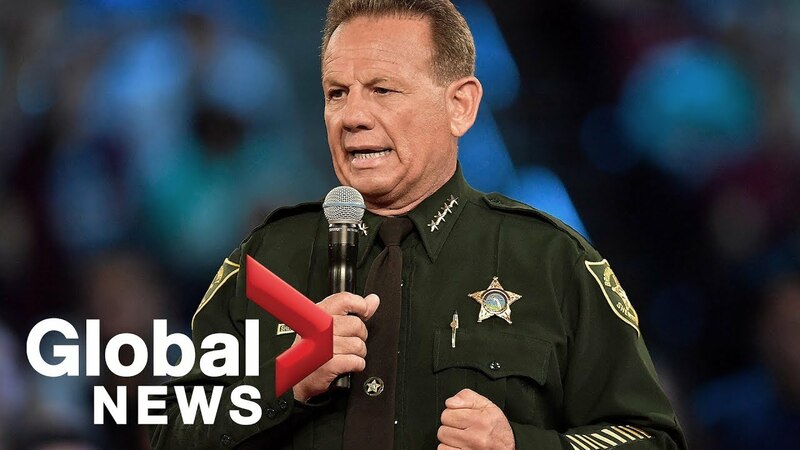 The Florida sheriff whose office responded to the massacre at Marjory Stoneman Douglas High School in Parkland will be suspended by the state's new governor Friday, a source familiar with the process told CNN. The murderer at the Parkland school never pulled the fire alarm. He fired 90 rounds from his rifle on the first floor, which produced enough smoke to set off the fire alarm. Andrew Pollack's 18-year-old daughter Meadow was in a classroom on the third floor. The teacher had mistakenly let her out into the hallway, because the fire alarm was on. But due to the continuing gunfire, the correct procedure would have been to lock the kids in the classroom despite the ongoing fire alarm. So Meadow was out in a hallway, where she was shot 4 times, then crawled back and tried to get into a classroom, but by then they didn't let anyone in. Meadow, gravely wounded, saw Cara, a freshman, in the hallway, and covered her with her body, but then Meadow was shot another 5 times, with bullets going through her and into Cara (both died). In a 29-minute conversation, Stefan Molyneux talks with Andrew Pollack about some of the things that went wrong that day, and about the high cost of political correctness. Last edited by Max K; 07-20-2018, 03:44 AM. So...Israel has a no confidence vote. How do the Palestinians feel..? Agreed. This guy lacks ethics and I question his "amazing leadership". How the hell do dangerously stupid people get that high up in an L.E agency? Elected by equally stupid people. "Listen, if ifs and buts were candy and nuts, O.J. Simpson would still be in the record books". It sounds like arrogant deflection.